Compact and pint-sized, the West Highland White Terrier, or the Westie, boasts good health overall with a few hiccups in their purebred genetics. These pups are prone to both minor and complex health conditions, but their puppy years are usually problem-free. If your West Highland White Terrier begins showing signs of a health condition, it will usually be between the ages of 5-6 years old. Thorough examinations, at least twice a year, at a vet’s office will ensure your Westie maintains good health. And if there are any underlying health conditions, routine vet check-ups provide excellent early detection. This condition, most common in small dogs, occurs when the kneecap dislocates from the thigh bone groove. Symptoms include an awkward gait, obvious dislocation of the kneecap, a severe limp, and licking or chewing on the area. Surgery is required to correct this condition permanently. Other health concerns that you may encounter with your West Highland White Terrier include cataracts, genetic deafness, joint dysplasia, and copper toxicosis. There are also the usual worries that could affect any pup, regardless of breed, such as heart disease, heartworms, and cancer. The average lifespan for a healthy West Highland White Terrier ranges from 12 to 14 years. 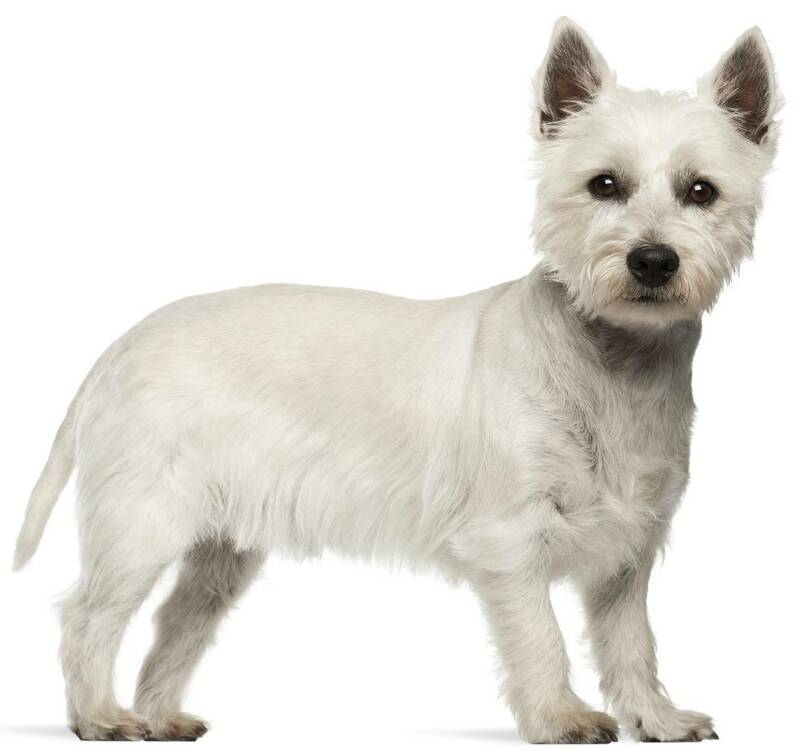 Spunky, plucky, and independent, the West Highland White Terrier is a challenge for some experienced pet owners. These pups make it a habit to test their boundaries, as each one is strong-willed with the belief that he or she is the dominant of the household. To properly train one of these headstrong canines, you have to use a clear, concise, strong voice with a positive, no-nonsense tone during training sessions. You absolutely must establish dominance, or the West Highland White Terrier will walk all over your commands. Eventually, after you establish yourself as the alpha, these pups will comply with your instructions. Praise, encouragement, and treats make great rewards for good behavior. 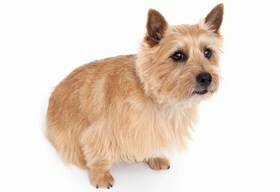 West Highland White Terriers are good with older children that they’ve grown up with. These pups, especially as they mature, have a low tolerance for loud, chaotic, rough younger kids. They can get snippy and yappy to put younger kids in their place, so be sure to keep both dog and child safe by teaching them how to socialize respectfully, lovingly, and gently. 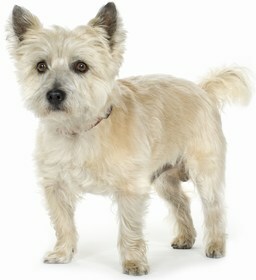 The West Highland Terrier is one of the most high-energy purebreds that you could ever own. These pups are all action, which means they would rather romp and run than spend too much time snuggling on the couch. Sure, you might get a cuddle out of one occasionally, at the end of the day, but mostly, these canines need lots of mental and physical play and stimulation to be happy. These pups are diggers and chasers, so squirrels beware. If you have a backyard, make sure it is totally, properly fenced in to keep your West Highland White Terrier from climbing out, running away, or digging underneath. These purebreds are loud, incessant barkers, so they make excellent watchdogs at nighttime. They can also be quite protective of their loved ones, going as far as to growl at, and eventually bite, anyone who threatens them or their family. This trait makes them good guard dogs as well. West Highland White Terriers boast soft, somewhat-short hairs, but they are low shedders. Regular, daily brushing is required, but it takes no time at all to remove excess hair or debris. 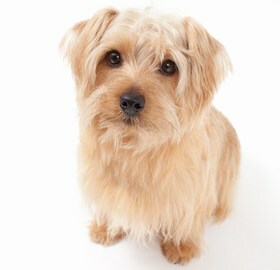 Trim around the nose, eyes, and ears to avoid any infections, and take him to a professional groomer for a full-bodied trim at least twice per year. 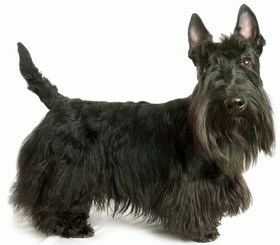 Since the West Highland White Terrier is a digger, he may get dirtier than the average dog. Bathe him once a month, or when he gets smelly, but avoid bathing him twice in the span of 6 weeks, if you can. Too many baths can strip the important natural oils from his fur, drying out his skin and allowing bacteria to form infection zones. Dietary needs of the West Highland White Terrier will depend on the size of the pup. Ask your vet how much your purebred should be eating in a day. On average, an adult West Highland White Terrier will consume two meals per day of ½ to 1 cup of dry, high-quality kibble per meal. She also needs plenty of water, especially in the summertime. Invest in an automatic water dish to make it easier to keep her hydrated. Looking for a West Highland White Terrier? If you are in the market for a West Highland White Terrier, check the local animal shelters or rescue groups first. Sure, these pups are a little older and some of them have been through rough conditions, but you would be offering a second chance at a new life to a pup that deserves a happy home. Adoption fees vary by state and county, but you should expect to pay between $75 to $250 for the dog itself. Vaccinations, spay or neuter, and an initial health check-up will cost extra. The West Highland White Terrier is a breed in high demand and there is an abundant supply, so you may find some pups cost between $350 to $700 from a reputable, reliable breeder. Ranking takes into account a few basic factors including cost, skill level needed, high vs low maintenance and how critical regular training is to success. The West Highland White Terrier ranks a 2.5 on the integration scale because of his strong-willed, independent nature. These pups are the kind of dogs who love attention but don’t chase you around all of the time begging for a rub. Instead, these canines wait for you to come to them. Sure, they may snuggle every once in a while, but their headstrong manners mean they prefer to keep to themselves sometimes. Through proper training and positive encouragement, the West Highland White Terrier could be a great family pet, excellent watchdog, and alert guard dog. He is protective, sweet, and playful—so, there’s never a dull moment.